I am going to say something that is probably going to irritate a bunch of people. But I’m going to say it anyway, because I feel like it needs to be said. Canadian coupon bloggers are selfish. Okay, so that’s not entirely true. But from what I have witnessed since becoming a coupon blogger, is that many Canadian coupon bloggers are only out for themselves. They want to make as much money as possible by constantly hiding in a corner and not playing nice with others that are in the same field. Do you notice when I add links to other coupon sites in some of my blog posts? It’s usually me saying thank you to a website that I found a great deal or coupon. I did not find that offer – the other blogger did, so why should I take all the credit? If I don’t find a deal on my own, I let my readers know. Why? It’s fair. I don’t take credit for the work of someone else. Sharing a link to another coupon blog gives my readers a new site to check out. Maybe they will like it. And since my main goal with this website is to please others, sharing a website that my readers may like seems like a good thing to do. So why don’t all coupon bloggers give credit to the sites where they find some of their deals? And why don’t they just link to other coupon bloggers in general – for no reason but to give their readers other websites to check out (like my Canadian resources blog post)? I personally believe that we are all in this together. The purpose of MapleMoney.com is to help others save money. If you’re a coupon bloggers, I’m sure that’s the purpose of your website as well. Want to know the best way to grow your website? Work with others! Trust me, I know this from experience. Coupon bloggers need to stop being so selfish. Stop hoarding your readers. They are people, not dollars. Share new things with them. New websites, new bloggers, new people. If you have a great website – don’t worry, your readers are not going to leave you. They will be back. And if you link to a site that they end up liking, they’re going to remember YOU for that. 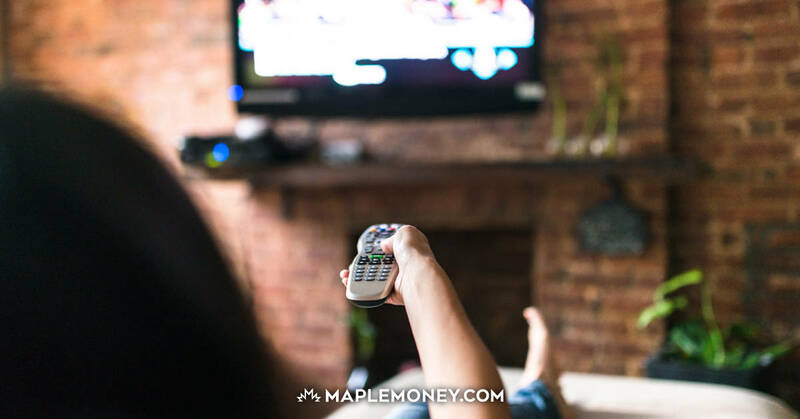 If you’re a coupon blogger, please feel free to leave a link to your website in a comment on this post, telling the readers of MapleMoney.com what it’s all about. Let’s help people save money! And please, start linking to other coupon bloggers. Your readers will love you for it. I know some blogs will put their name on the coupon (website) in the initial post and then a link to the coupon. I HAVE thought about this. I am NOT a blogger, but I “troll” your site and one other one many times per day (You and the “other one” seem to have a pretty good working relationship) When others do this, it just kinda makes them look rinky dinky. Just remember, imitation is the highest form of flattery. But I can see how it’s frustrating for those who do work hard to scour and find and post. Thank you for your efforts. I don’t think its selfishness as much as it is plagiarism and theft of ideas. Its important for a writers/bloggers to link/quote their sources and reference materials. Anyone who’s educated will know that this is proper blogging/writing etiquette. It demonstrate consideration and it gives the credit where credit is due. This isn’t off side at all. I agree 100%. Although i’m not a blogger I have grown to respect the work involved in maintaining these kinds of sites. I have numerous sites bookmarked, however your web site is the only site I firmly recommend to all my friends. As long as you know your playing by the rules, that’s all that matters in the end. Thanks for a great site! Can all Coupon Bloggers on facebook stop posting things non-coupon? I have enough ‘stuff’ on my wall that I don’t need a Coupon Blogger to post pictures about kittens and to tell me that they have snow today. I’ll join the kitten fb group & the Weather channel’s pg if I want that garbage. lol I left one page because I was sick of looking at a girls eyelashes if you can believe that. lol that’s so funny and so true!! It’s a pain to scroll past all the random nonsense to find what you’ve actually signed up to get; notifications of deals and coupons. Great post Cassie, I don’t think you’ll receive as much backlash for this as your originally expected ( unless those specific greedy bloggers happen to comment ). I have come across a few good sites, thanks to links on your site. There is a group on facebook that also has a website ( not a very good one mind you ) but I feel like as soon as you post something, they post it a few minutes later and I never see any credit to you for it. Keep up the great work you do. All I have to say is “THANK YOU”, for raising this awarenes for your fans. I too am someone who always gives credit, whether it be to my fans or to other coupon bloggers where I have found the information 🙂 I am so very honoured you included me in this list MrsJanuary and it has been a privilege to work along side you in this ‘what seems to be’ cut throat world of helping people save cash 😉 sigh! I am a blogger that sticks to just posting about coupons and deals in Ontario. I do not like to spam walls with relentless posts about unrelated things. All I gotta say is that the best coupon blog is mrsjanuary.com! Thanks to your site, I’ve discovered a couple of other ones, but yours is always up-to-date, nicely laid out and interesting to read. Sorry other bloggers but I gotta give praise when praise is due! I feel that I need to comment on this. When I wanted to start couponing 3 years ago. I typed in google “canadian couponing” that’s how I was first introduced to you. And have been a follower since. I do stray every now and again to other sites but I am always drawn back to yours! I love your articles. I love how to talk about your kids beuse seoome of us coupon to save money so our kids can have a better life. ( the reason we bought a house this year and how we can afford gymnastics for our 2 year old. I appreciate all y do and i am a fan for life!! Keep on rocking it Cassie!!!! Like I said, I always give credit when I find deals elsewhere. If there is no link, that means that I did not find the deal on another website. Please keep in mind that readers submit deals to us all the time, and they may have found it on another site and not told us about it. The owner bans all competitors. Thank you for posting that. I run a small page and was crediting everyone when I found deals on other pages. Then I noticed no one else was so thought it was not something that was done. I should have stuck to doing what I thought was right. I will be going back to tagging the page I seen it on first. It is unfortunate that people have to have a negative opinion. Its hard to know if you are the first one to spot a deal there are more coupon bloggers out there then I have bottles of body wash (and trust me thats alot) They all need to keep focused on the end result and that is that we are all saving a bit of money! I appreciate all that I learn from my favourite coupon blogs 😉 Thanks ladies! Here, here Cassie! I totally agree with you! Since day one we’ve felt it was important to reach out and become friends with fellow bloggers. Like you said, we are all in this together and I can’t for the life of me figure out why we all just can’t share and get along! There is already too much hate in this world for it to filter into an activity that is suppose to be nothing but enjoyable! I agree. Couponing is supposed to be fun – let’s not bring hate into it! I was a follower of 2 other similar sites for many years & a friend recently told me about Mrs January & I’m in love! It’s a great site, clean, well organized & I can tell that you give credit where necessary. Too much in this world is a ‘me, me, me’ culture but if we all work together, this world would be a much better & happier place! Too those criticizing this site, go elsewhere then. Love the printable grocery/coupon match ups & love the coupon database. Thanks for all your hard work!! i totally agree some people are selfish on these sites . when i get coupons I can’t use I pass them along for my friends to use. they are grateful because they save money too. Thank you cassie!!!! I only follow your page now. Its almost like people think they are searching for the city of atlantis. I think its gotten a little too serious! When I first started reading your article my eyebrow was a bit raised, but when I read it I was like YES so true. I started off only going to one or two sites, yours included, and your links helped me find more. BUT I still check your site every day (a few times a day actually) so there was no “loss” to you. Just respect gained. Another comment I’d like to make is that some couponers can be selfish. They don’t want to share how they get their coupons. Whenever someone comments on how many good coupons I have and they wish they could do that I ask if they’d like me to write down the sites I go to. Cashiers have often ripped off extra register paper and given me a pen and were thrilled to get the info. It also makes checking out with that cashier more fun the next time! GREAT WORK keep it up! Mrsjanuary, you should stick to posting deals. Remember when you got called out for ranting about people buying coupons on ebay, only to get called out on a lie that you had within the past year endorsed the practice? Even then, you tried to lie even more to save face. I’m done with this site. No one likes people on pedestals, so please stick to posting deals because your hands are not clean. I am not really sure what you are implying here. I don’t recommend buying coupons on Ebay – not tear pad or coupon inserts, anyway. However, if someone is selling a huge lot of coupons (some tear pad coupons, some Save.ca, some coupons from inserts, etc. ), then I think that is fine, because it’s not as likely that those coupons were stolen. I disagree with this. I’ve been following hanging on Cassie’s every word for almost 2 years and my understanding of anything she’s ever written about this matter is she doesn’t have an issue with people wanting to get rid of their surplus coupons (posting a “lot” that includes coupons from different places and for different products – seems pretty obvious they are a couponer who ended up with too much and wants to share them instead of have them be wasted) however does not condone the practice of abusing the system or stealing coupons for a profit – such as people who will take a whole tearpad of one item and sell it just to make money. She has very clearly outlined the difference and I agree wholeheartedly with her position on the matter. Be done with this site it you like – it’s your loss, friend! Shawn, there is a BIG difference between buying coupons from someone out to make money and takes coupons for the sole purpose of selling them as opposed to buying coupons from someone who has extra and has realized they won’t be using them all. As a beginner couponer – I would like to thank you Cassie for your integrity. Something that lacks in this world and you show it freely and easily. Thank you for all the work that you do for people like me. Keep going. You are changing lives. I hate to say this Cassie, but I asked you once if I could repost your finds on another site and you said no. Do you recall what finds these were? There’s no reason why I wouldn’t allow someone to share a deal that they found here, as long as credit was given. I was asking to post the best deals of the week you used to have on frugalshoppers.ca. I love that you shared this. I still think you and Savealoonie are the best sites for to follow to check out and I have no shame in letting all my friends and family know where to find the their canadian coupons. The reason I share the both of you to them is, well that you’re fair. I know we will be able to find links to our favorite coupons and there isn’t any negativity. Thank you Mrs. January for all that you do. I am subscribed everywhere – I try to read everything so my chances of missing any deal or coupon are slim. I get everybody’s daily emails and I check the sites a few times a day as well in case something new has been posted between emails (YES I’m that fortunate with my time – also mrsjanuary.com is my homepage). I have to say, more often than not Cassie has it first and if by chance she posted it after someone I always see credit given, whether it is another site or just a reader who submitted it. Anytime I’ve submitted a find and I see it posted shortly after with a “Thanks, Julia!” at the end I always feel so special! Cassie, you rock girl! I am also a young mom of young kids (our sons are months apart from each other as are our daughters, except I have another boy between the two! – some people think I need cable lol). I always appreciate the updates and articles you post, I have saved my family tons of money since learning how to coupon, FROM YOU! It blows my mind how you balance raising very young children, keep your home spotless and always have delicious scratch made meals because from personal experience I understand what a full time job that is. But on top of all that you run the best couponing site there is. And it really is the best – clean, up to date, interesting and so easy to navigate. 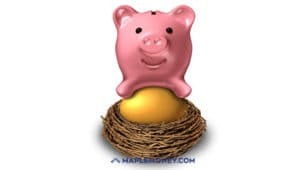 I am able to stay home and care for my family because the huge savings I get on our grocery and household items means our dollar stretches far enough that I don’t need to go find a job. I love that! Hi Cassie, I really enjoy your site and all that you share with others. I’m just curious how you know that others are sharing deals that you have posted as your own. Are they copying your post word for word, or are they deals that they may have actually found on their own? I love how you not only give credit, but also track down the main source! I will not print or use a printable coupon if I cannot account for where its from due to fraud, US onlys, etc. ! Those with the integrity to say its on Fb, Smartsource, etc.. get my support. A link that goes straight to print is the number one reason I don’t support certain blogs anymore. Great post Cassie! Thank you so much for linking to Simply Frugal as one of your favourite sites. 🙂 Much appreciated! With my priority being my family, it’s nearly impossible for me to find a deal first. I love giving credit to those that find it first. (or the site I see it on first!) My motto is “Helping you save money in Canada” so, my main goal is to help fellow Canadians save money in Canada, whether or not I found the deal first. Keep up the great work and I look forward to still working with you in the future! The more (relevant) links you have, the higher your google rank…. unless thats changed. If you want to make it big in the search engines, you need to have links to other sites! I personally think that a lot of people are mis using coupon blogs. I check out a few different sites as well as have my own blog and facebook page. I do this because I enjoy doing it, sharing my deals and finds, with this being said I do not post where to find coupons and current rebates. The reason for this is I use other sites to find them, I work and at the time in my life I cannot track these items down myself and I am not going to take credit for something I did not do or find. I feel as couponing has gotten more popular people are taking advantage. Please do not get upset at what saying and let me explain. It is like any big trend some people do it as it is a way of life or something the truly what to try or do. But at the same time you have a number of people who see it is as an opportunity, what I mean by an opportunity would be to have a website or a blog in which they can try to bring in traffic to make money (do not get me wrong doing this is not an issue, the issue is with those who do it for the wrong reason). These are usually also the people that are usually also making post about their other businesses that have nothing to do with couponing or frugal living. With that being said I have seen a number of sites where it seems quite obvious that they follow other sites and post the same deal a few minutes after they do. This becomes most obvious when you see a certian blogger is away for a day and than the next day when they catch as they post the deals so does the other blogger. I always stop following a person’s blog when they do this. I also find it quite mean that some people seem to follow bloggers just to try to point out “mistakes” or what they consider wrong. Can we not all just agree we are all here for the common goal of trying to save and not attack people. People are putting time and effort into putting together these sites and posting this information and as any couponer knows mistakes get made when you check out it happesn but we do not need to attack someone over it nor do we need to be judging people. Do some people abuse coupons yes but if you believe a blogger is doing this stop following them do not attack them. I think Cassie does an amazing job with this site and to see people going at her is very sad. I see Cassie answer almost all questions but the fact that some do not ask questions and just acuser her is sad she take some much to do what she does and to see people do this is I am sorry to say but pretty much just an adult form of bullying. I am sorry if anyone find what I said offensive but I think everything Cassie said is very true and I totally agree with her why cant everyone work together. You do a awesome job. Love your site. I just started with coupons and your site is the one I enjoy receiving in my email box. I appreciate all the useful articles I have read from you and the several links to the sales and different coupons. Thank you for all your work that you do. I was just thinking today how easy you make it for me. I love your website, I think you do a fantastic job!!! I recently started my own couponing blog about shopping in Canada AND the USA but will always give credit where credit is due. This reminds me, so far I have only been focussing on couponing in the US so I need to write some entries about doing it here at home. Your blog, for sure, will be one of the sites I will mention!! You are one of my inspirations! Thanks so much, Angela! I’m off to check out your website now. I need to learn how to use coupons in the US! As a beginner couponer – I would like to thank you Cassie for all your help. Great article Cassie! i have loved your site from the first time i saw it and i continue to hold you in the highest esteem! i always refer others to your site and you have taught me the most! I used to enjoy reading your posts but lately I found that you’ve been very preachy. It’s a real turn-off for me & sorry but I’m going to unsubscribe + follow Simply Frugal instead. If it hadn’t been for you posting links to other great coupon blogs/sites, I wouldn’t have gotten anywhere near to the knowledge I have now about how to coupon (or in some cases extreme coupon) I would probably have been lost, or got discouraged. I’ve been doing it for 1 1/2 years now and I still follow your site daily. Thankyou. Not to mention when they mention sites like Swagbucks and other sites they always, always, always post their own referral link and NEVER post a non-referral link. Not everyone wants to sign up under you, you know! I also don’t think there needs to be as many sites as there are for Canadian coupons – it’s not like we have as many provinces as the US does states or anything. There are new ones popping up all the time. It’s kind of ridiculous at this point. Why would you use a non-referral link? That, to me, is just stupid. If you’re going to post a deal and you can get some sort of bonus/reward for doing it, then use a referral link! My page is easy going, and it’s a great place to share information and learnings. I try to post things specific to my experiences in Edmonton because there is so much other information available in Canada from wonderful sites like yours 🙂 Thank you!